Are you wondering, "What qualifications do I need to become a nurse"? You first need to decide what kind of nurse you wish to be, as requirements may vary greatly from one specialty to another. There are various qualifications you need in order to become a nurse. The first is a college degree in nursing. Regardless what type of nursing occupation you seek, you'll need a nursing degree. If you wish to be a LPN (Licensed Practical Nurse) or a LVN (Licensed Vocational Nurse) then you need to successfully complete a one-year course. This degree can be obtained through a college or vocational school. Once you complete the coursework, you'll need to take the National Council Licensure Examination for Registered Nurses (NCLEX-RN) to obtain your license. You can then work either for a physician in private practice such as in an office environment or in a hospital or clinic environment. Many people opt for the LPN or LVN so they can be gainfully employed while continuing with their nursing education. Those who opt for this route feel that the experience you gain actually performing duties within a hospital or other medical environment while also attending college classes is invaluable. An RN (Registered Nurse) is required to obtain either an ASN (Associate of Science in Nursing) or a BSN (Bachelor of Science in Nursing) degree. You have the option of specializing in a specific area of treatment such as pediatrics, critical care, ambulatory care, surgery or hospice care. You may prefer to specialize in specific conditions or even medicine and treatment for a specific body organ such as the liver or heart. Just like the LPN option, you'll need to take a licensing exam, the National Council Licensure Examination (NCLEX-RN). ASN : The ASN is a two-year degree program. Because of the high demand for nurses, many people opt for this degree since it it the fastest route to becoming a Registered Nurse. You can obtain an ASN through various nursing schools as well as from community and career college programs. Once you graduate from an accredited program, you will need to sit for the National Council Licensure Examination (NCLEX-RN). 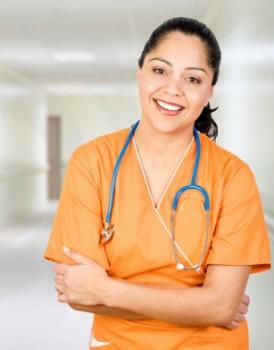 When you pass, and complete any other state requirements, you'll receive your RN license. BSN: The BSN degree has been the subject of debate for decades. Many medical professionals feel that a BSN should be required of all nurses instead of allowing either an ASN or BSN. One of the biggest issues between going for a BSN instead of an ASN is the pay level each receives. Understandably, you'll earn more if you hold a BSN. In addition, the career advantages to holding a BSN degree over an ASN degree are the opportunities for advancement. If you wish to go into other areas of medicine such as administrative, managerial, research, and clinical, but hold an ASN, then you'll be required to go back to college to obtain a BSN. Also, if you wish to go into specialized medicine disciplines previously mentioned, then you'll be required to have a BSN degree as a prerequisite of eligibility. A Nurse Practitioner (NP) is a RN that's completed specialized training in a field of medicine such as internal medicine, cardiac, pediatrics or another area. Because of her advanced training and specialized studies, a NP can serve as a primary direct provider of services in patient care. She can prescribe medications, physical therapy, order most tests such as lab work, CAT Scans, X-rays, EKGs and any other needed tests necessary in the diagnosis process. Licensing requirements for most states include a Masters of Science in Nursing and additional graduate level study. The NLNAC is recognized on a national level as an accrediting agency for nursing degree programs. Before you decide to attend any institution for a nursing degree, visit the NLNAC website to verify that the institute program you wish to take is accredited course. You should definitely do some researching before your final decision on which college and coursework to pursue. Not all nursing degree programs are equal. Seek counseling from an unbiased source, either a RN or some other medical professional who's knowledgeable about the skillset you'll need. School counselors are also another great resource to assist you in evaluating specific college programs they offer. There are other qualifications you need in order to be a nurse that aren't related to education and degrees. These qualifications are personal attributes and characteristics. As you can see, there are quite a few options when it comes to your career as a nurse. When you ask, "What qualifications do I need to become a nurse?" you must first decide on the type of nursing you want to practice.